Employee Directory Import/Export Addon enables you to import, export and reset all your employee and events from a CSV file or from any source. Easy to use operations button on Employee and Events list pages. Import/Export all your employee info from/to CSV files. Import/Export all your employee direct reports relationships from/to CSV files. 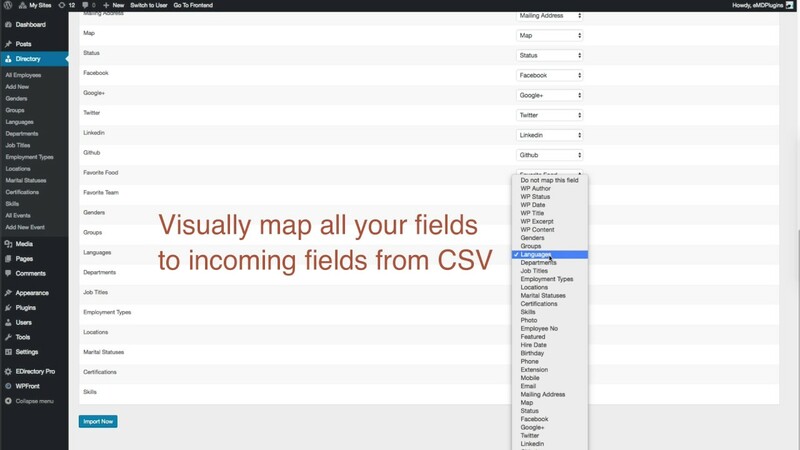 Import/Export all your event info from/to CSV files. Update existing employee and event data based on unique fields. Reset all your employee and/or event information if you need to and start over again. Import/Export your employee custom fields. Import/Export your event custom fields.